You’re no superstitious kook, but there’s no harm in occasionally knocking on wood, especially if it could keep you from being unfashionably late to an important appointment. 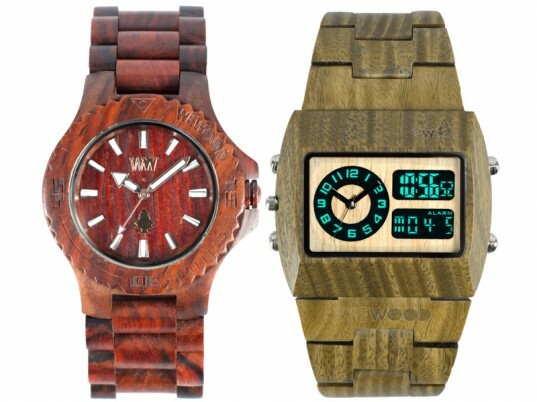 Light years ahead in terms of style, WeWood’s luxury wristwatches will put time on your side. The Italian-made timepieces, made from sustainably harvested or reclaimed wood, are a fusion of artisanal craftsmanship and modern technology. But a zeitgeist-capturing sensibility informs the company’s future, as well: For every $120 watch sold, WeWood plants a tree with American Forests. Available in two gloriously anachronistic styles—analog and digital chronometer—the watches come in a quartet of hardwoods: maple, ebony, guaiaco (a tree native to South America), and red wood celtis (derived from flooring waste). Wood, according the WeWood, is recyclable, biodegradable, toxic-free, and lasts forever. Hey, it’s about time someone thought like that. In my city Ryazani (Russia) was much fires. Remained much black woods. I shall do such beautiful belt from ebony. You're no superstitious kook, but there's no harm in occasionally knocking on wood, especially if it could keep you from being unfashionably late to an important appointment. 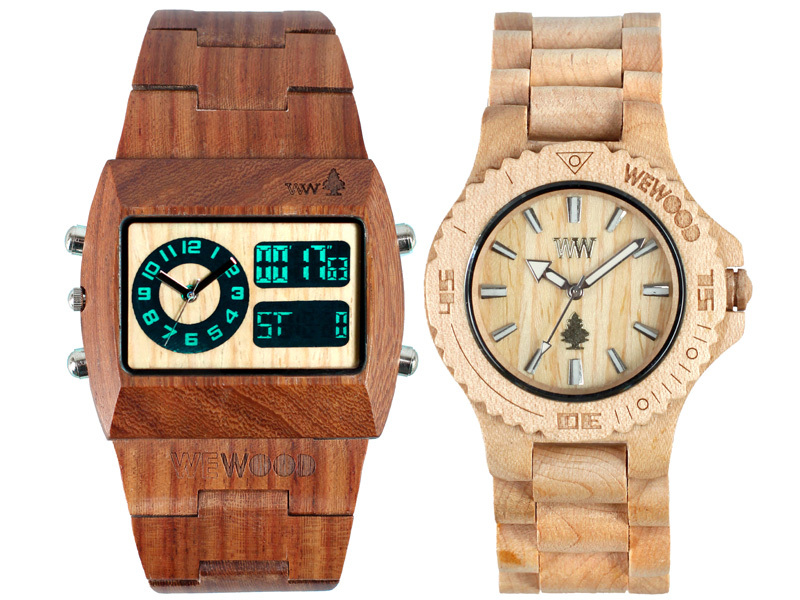 Light years ahead in terms of style, WeWood's luxury wristwatches will put time on your side. The Italian-made timepieces, made from sustainably harvested or reclaimed wood, are a fusion of artisanal craftsmanship and modern technology. But a zeitgeist-capturing sensibility informs the company's future, as well: For every $120 watch sold, WeWood plants a tree with American Forests.